Kevin Smith Transportation Group is a Luxury Transportation company that services the entire Greater Philadelphia, PA area. KSTG delivers services daily in Bucks, Chester, Delaware, Doylestown and Philadelphia counties. This includes more than 300 cities, towns, boroughs and Providences across the area. One of the places a KSTG vehicle will regularly service is North Coventry Township, PA.
Kevin Smith Transportation Group delivers both Leisure and Corporate Transportation services in North Coventry Township, PA. KSTG’s Leisure division will often be seen sending out a Wedding Limo or Wedding Shuttle on most weekends. Service requests for a Limo or Party Bus for a Night on the Town or a trip to Philadelphia, PA for a concert or show is very common and popular for those who live in North Coventry Township, PA. The exciting requests for a Party Bus to the Manhattan Cruise Terminal or a night out at the casinos makes for a great night. If you are fortunate enough to work for one of the amazing companies in North Coventry Township, PA, then you may require the services of Kevin Smith Transportation Group and our Corporate Transportation division. Airport Transportation is a common service request with Philadelphia International Airport (PHL) located so close to North Coventry Township, PA. However, with nearly a dozen International Airports in the Mid-Atlantic area, many companies will utilize KSTG’s services for Airport Transportation to Newark International (EWR), Kennedy Airport (JFK) or other points north or south of the Philadelphia, PA area. Other Corporate Transportation services that Kevin Smith Transportation Group offers companies in North Coventry Township, PA include Shuttle Services. This may be needed for moving employees to local SEPTA stations for both their morning commute and returning home in the evening. KSTH Sprinters and Mini Buses are popular vehicles for this service. Some companies, with offices or clients around the country, often have employees traveling through local FBO’s. When Private Aviation is utilized, KSTG Cadillac XTS’s and Black Yukon’s are often seen transferring employees from their offices in North Coventry Township, PA to those local FBO’s including Northeast Philadelphia Airport, Doylestown Airport and Wings Field. Many companies in North Coventry Township, PA have been pushed by their Senior Management or Counsel’s office to follow strict Duty of Care requirements with their employees. This means that the days of using an unregulated Black Car Service for Corporate Transportation services is no longer allowed. For Kevin Smith Transportation Group, this means that our Black Car Service division, including our fleet of Cadillac XTS’s, Black Yukons and Black Infiniti’s, are regular visitors to North Coventry Township, PA.
North Coventry Township, PA is a township in Chester County, PA. The population is estimated at 7,866. 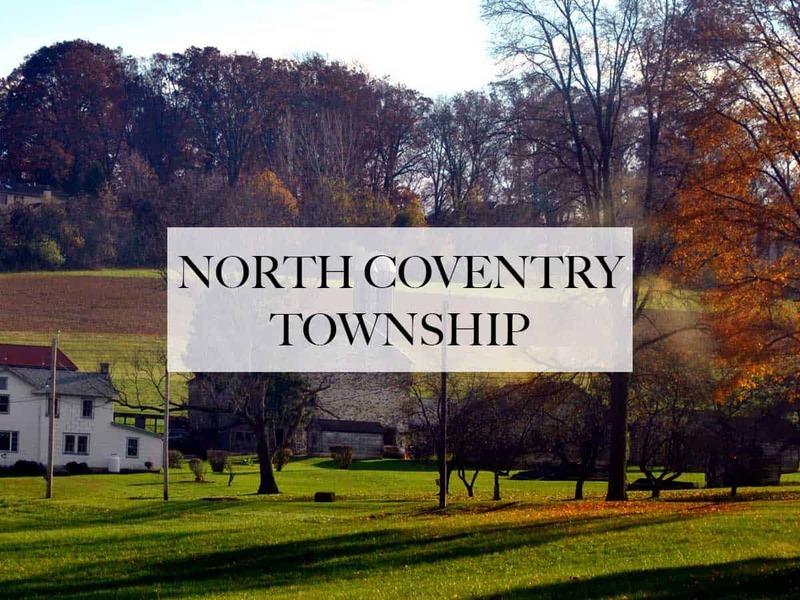 The township derives its name from Coventry, England, the native home of an early settlers. The Pottstown Landing Historic District was listed on the National Register of Historic Places in 2001. Pottstown Landing Historic District is a national historic district located in North Coventry Township, Chester County, Pennsylvania. The district includes 76 contributing buildings and 1 contributing site in the linear village of Pottstown Landing. The buildings date from the 18th to 20th century and primarily include residential buildings. Also included are a number of contributing outbuildings, a school, and a church. The oldest buildings are associated with the Joseph Rieff stone farmhouse (c. 1780). The village developed along the banks of the Schuylkill River and increased after the opening of the Schuylkill Canal. Notable people from North Coventry Township include Iowa State Senator J. Morris Rea, who was born there, as was Congressman Irving Price Wanger. Joseph Morris Rea was born to George and Ann Rea on March 1, 1846, in Chester County, Pennsylvania. After living for a time in North Coventry Township, the family moved west to Mount Carroll, Illinois in 1854. Rea studied at the Mount Carroll Seminary, later known as Shimer College, from his family’s arrival in Mount Carroll in 1854 until 1863. His classmates at the small school included future Illinois politicians H.H.C. Miller and Virgil Ferguson, and future Iowa Speaker of the House William H. Redman. Rea subsequently attended the old University of Chicago, graduating with a bachelor of science degree in 1867. After graduating from the University of Chicago, Rea read law in the office of C.B. Smith in Mount Carroll. In 1869, he completed his studies and became a member of the Illinois bar. The entire team at Kevin Smith Transportation Group is proud of our partnership with every company, venue and person from North Coventry Township, PA who chooses KSTG as their #1 Transportation Company. We believe our priorities around luxury helps us deliver our services for everything from a once in a lifetime Wedding celebration to supporting our Corporate clients who require use of our Shuttles and Sprinters for a company event. With North Coventry Township, PA and KSTG working together, we are confident KSTG vehicles will continue to support the entire area for years to come.